Oct 25-Nov 4 Toronto, shabbos Nov 6 - Calgary, Mon Nov 8 Tufts, Tues Nov 9 Cornell, Thurs Nov 11 Passaic, shabbos Nov 13 - Passaic, Sun Nov 14 Lakewood, Ner L'elef. Having received his Ph.D. in mathematical logic at Brandeis University, Rabbi Dr. Dovid Gottlieb went on to become Professor of Philosophy at Johns Hopkins University. Today he is a senior faculty member at Ohr Somayach in Jerusalem. 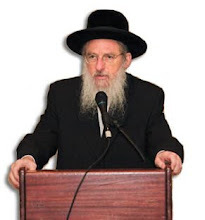 An accomplished author and lecturer, Rabbi Gottlieb has electrified audiences with his stimulating and energetic presentations on ethical and philosophical issues. TOPIC Should One Make a Deal with G-d?